Definitions are important. And when it comes to Christian truth, definitions are especially important! Wrong definitions produce false expectations, confusion, and false doctrine. 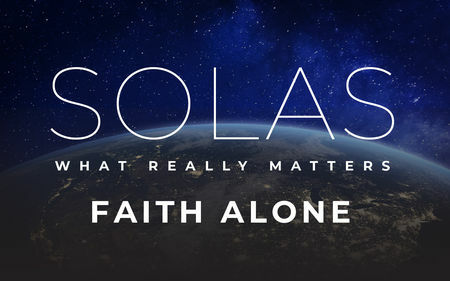 Defining the concept of “Faith Alone” is vitally important. What is the nature of faith? How does it work? How is it produced? When the Bible says we are “justified by faith,” what does that mean? Do you have faith? For what purpose? God’s blessings to you in Jesus as we worship and learn His truths!